Naan is an chapati like pita bread of Asia and probably the most loved bread for all occasions throughout Asia. It has been one of most important bread in Asian restaurants throughout Europe and America for few decades, also plays big role in fast food chains in Europe. Naans play important part in all types of ceremonies and occasions in Asian societies throughout the world. But one would be surprised to see history books are almost blank about this most important food, there is not much i could find about when it was introduced and who had the brain to come up with such an delicious recipe, The first recorded history of Naan can be found in the notes of the Indo-Persian poet Amir Kusro in 1300 AD. Naan was originally cooked at the Imperial Court in Delhi as naan-e-tunuk (light bread) and naan-e-tanuri (cooked in a tandoor oven). During the Mughal era in India. 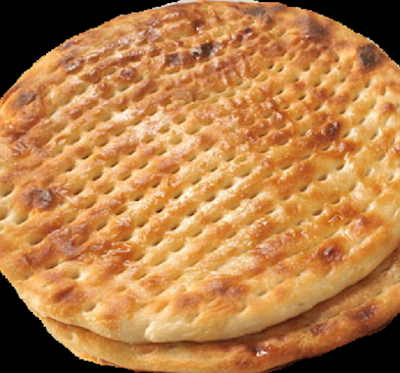 Today in India and Pakistan naan is cooked in lots of different verities like Plain Naan, Garlic Naan, Kulcha Naan, Keema Naan list caries on. 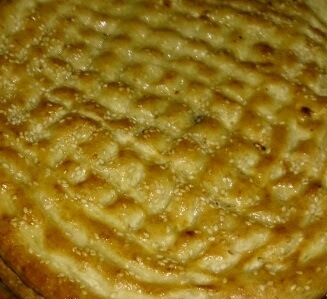 Today i am going to share one of most famous naan called Roghani Naan, very simple and Delicious. If you like it please do use comment box below and do not forget to subscribe our site to get new recipes everyday, we don't just share the recipes from around the world, we dig the history for you to bring some of the best recipes for you and we bring the memories of ancient life into your kitchen. Form the dough into a ball, grease a clean bowl, place the dough in it, cover with a dry cloth. Keep it overnight or for minimum 6 hours so that it can rise. Punch down the dough and knead again, divide the dough into 8 parts, shape into round balls, keep for 15 minutes. Brush with melted butter, sprinkle the sesame seeds on it.